Common signs your dog may have fleas or a flea allergy are licking, biting or chewing on hindquarters. “It could be a sign of another allergy or infection, but dogs and cats with flea allergy are more likely to be itchy on their back end,” Dr. Eckholm says. Most dog owners are aware of topical flea medicines, like Frontline and K9 Advantix, but there are also oral flea preventatives on the market. Once we became aware of these oral medicines, we decided to try a popular option, Comfortis, because it starts working within an hour of being consumed and is more effective by day 30 than topical medicines. But it does not protect against ticks and we were wary of the most common side effect, vomiting. “This is usually controlled if Comfortis is given with a full meal,” Dr. Eckholm says. You could also break the pill in half, and give half with your pet’s breakfast and half with dinner. 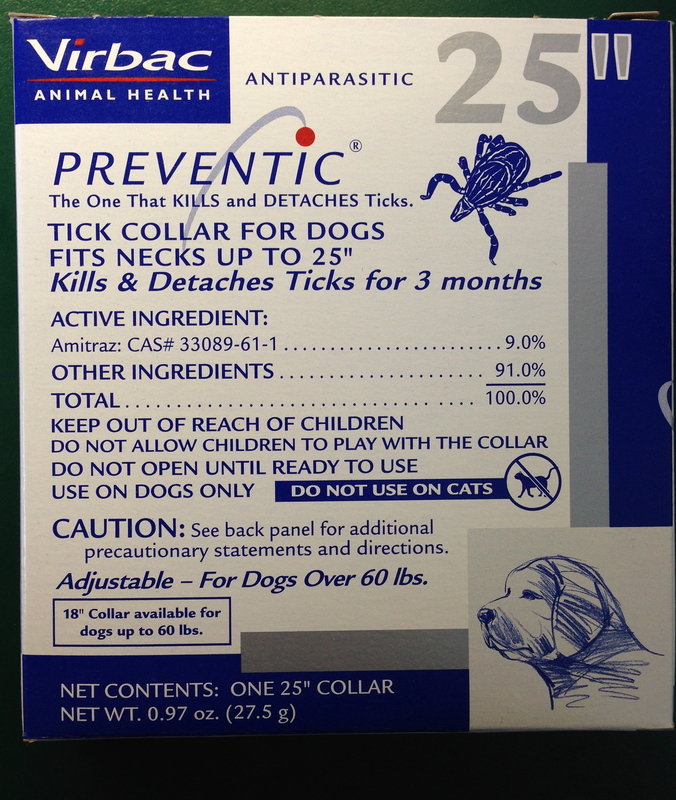 Comfortis isn’t the only oral product on the market; in fact, there are numerous flea and tick preventatives out there. 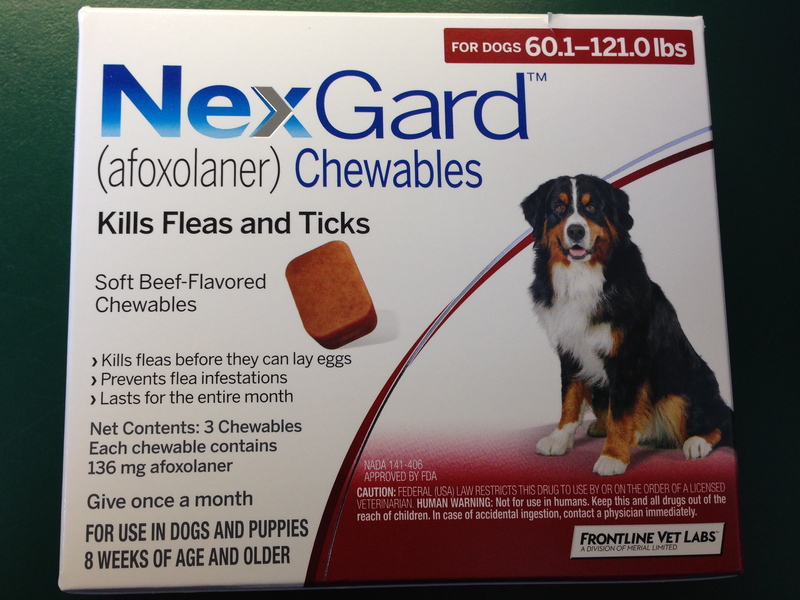 While researching for this article, we found NexGard, from the makers of HeartGard, which protects against fleas and ticks in a beef-flavored chewy. There is also a removable flea collar called Preventic, which becomes effective within 24 hours of being worn and lasts for up to three weeks..
“It’s best for pet owners to discuss which is best with their pet’s regular veterinarian,” Dr. Eckholm says. The most important thing is your pet is protected not only against fleas and ticks but the various diseases each can transmit. Dr. Nicole Eckholm has returned to California after working in a referral-only dermatology practice in the Washington D.C. area. She brings a unique blend of academic dermatology, through her U.C. Davis residency, and clinical private-practive dermatology, as well as several years in general practice and shelter medicine. Dr. Eckholm’s interest in dermatology grew as she found skin disease to be frustrating and hard to manage, for owners and veterinarians alike. 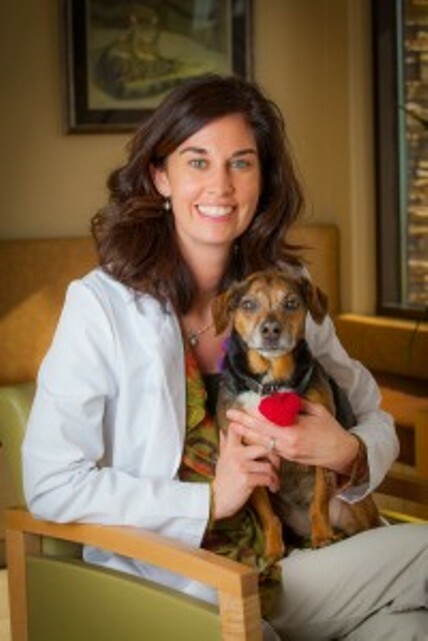 As a specialist, she focuses on ways to improve the quality of life for pets suffering from an infectious, allergic, or autoimmune skin disease. This entry was posted in Health and tagged Comfortis, Dog, flea allergy, flea preventative, flea preventatives, fleas, fleas and ticks, Frontline, K9 Advantix, ticks by jaqbennett. Bookmark the permalink. We now use Trifexis (pills). 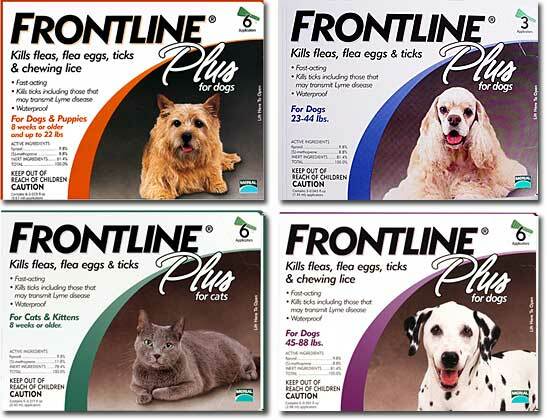 It’s for fleas, prevention of heartworm and control of a few other worm varieties. I found Frontline & Advantage to have totally lost their effectiveness. Plus they are kind of messy. My old dog used to get burned by them, too. I’m just worried about the long term effects of any digested flea medication, since they haven’t been around long enough to be sure they’re safe.